Netflix and chill; hell yeah! If you are both a Netflix subscriber and Kodi user, you’re probably wanting to unite the two platforms. Including the Netflix app inside of Kodi’s interface is a great way to watch all the wonderful content in Netflix while enjoying the customizable Kodi user interface. Due to some advancements in the latest Kodi 18 Leia, the Netflix Kodi addon developed for the latest version of Kodi v18 Leia merges Netflix and Kodi beautifully! Developed by asciidisco, with code also contributed by over 30 other developers, watching Netflix on laggy, uninspired web browsers can now be a thing of the past. As you most likely know, Netflix is a high-quality online subscription-based streaming service people use to watch some great TV shows and movies. This US-based service has geo-restrictions for each region it is available, however. While they have versions available in many countries worldwide, every one of them is only available to a specific geographic region. If you are traveling or live abroad, you’ll need a good VPN (Virtual Private Network) to bypass these restrictions. A securely encrypted VPN server accessed through the IPVanish VPN app will bypass geographical targeting and most other forms of online censorship by masking your location, activities, and identity. Those less familiar with the amazing multi-platform Kodi online streaming and media librarian app may wish to reference our “What is Kodi?” guide. This software began in 2002 as a simple XBox media player. Kodi has since been updated with the ability to find and provide access to nearly unlimited online media streams including free movies, TV shows, and music. Better yet, it works on every major operating system and most internet capable devices including your TV, laptop, phone, and tablet. Kodi is a free open source media center with thousands of third-party add-ons available to enhance your Kodi entertainment experience. Follow our MTM guide below and learn how to install Netflix on Kodi for multiple operating systems such as Windows, Mac, Android, Linux, and more. Netflix Kodi Addon – Why Now? Since Kodi’s 2002 inception and Netflix launch in 2007, the two have not been united due to restrictions in place by DRM (Digital Rights Management). This is a set of access control technologies that restrict the use of applications within other apps. We would argue that these “technical protection measures” are nothing more than one of the many big business ways of stifling innovation and competition. In a recent update, Kodi 18 Leia finally received support for DRM. This allows the possibility of watching streams from official apps such as Netflix on Kodi. This is seen as exciting news regarding the future of Kodi addon development by those with an ability to read between the lines. Sounds good, right? There are just a few restrictions we want to clarify before demonstrating how to install the Netflix Kodi Add-on. In order for the Netflix Kodi addon to work, you’ll need the following. Kodi 18 Leia updated – Either the latest official release or a more recent nightly build will work. Inputstream Adaptive v2.0 or greater – This is now automatically installed with the latest Kodi 18! Inputstream Adaptive is a Kodi module which enables streaming of DRM content such as that available on Netflix. Please note: The Netflix Kodi 18 Addon will NOT work on Kodi 17. Kodi 18 Leia or newer is required in order to stream all the great Netflix content right in your favorite media center software. There is a catch if you want to watch Netflix on Kodi when installed on other than an Android device such as the Amazon Firestick . You’ll need to install the Widevine Library in your Kodi folder before you can install and watch Netflix on Kodi. In order to install the Widevine library file to access Netflix on Kodi, you must download the Widevine Library. Then, place the downloaded widevinecdm.json file into the CDM folder of your Kodi special folder. Use these provided links for assistance. Now, let’s install Netflix on Kodi! The Netflix addon itself is unofficial so won’t be included in Kodi’s default add-ons. Kodi 17 Krypton and later security settings require you to toggle enable unknown sources on before installing any third-party addons. This step is vitally important. 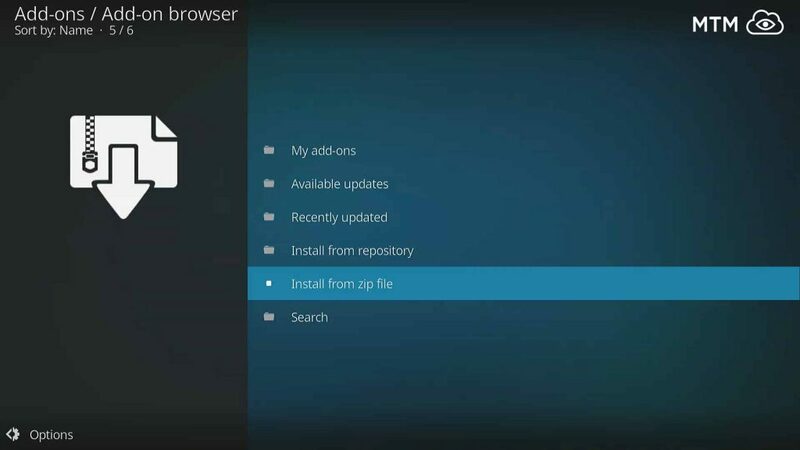 Kodi won’t allow you to install any third-party addons without doing this first. Reference our MTM Enable Unknown Sources guide to make Kodi ready to accept the Netflix addon. While you can find the Netflix Kodi 18 addon within Alelec Repo, we’re headed straight to the source, baby! We are loaded up and GitHub bound! First, download the Netflix repository. This can be done any way you prefer, but is especially easy with the TVAddons Git Browser Kodi addon. Simply use the GitHub username kodinerds within the Kodi Git Browser from TVAddons. 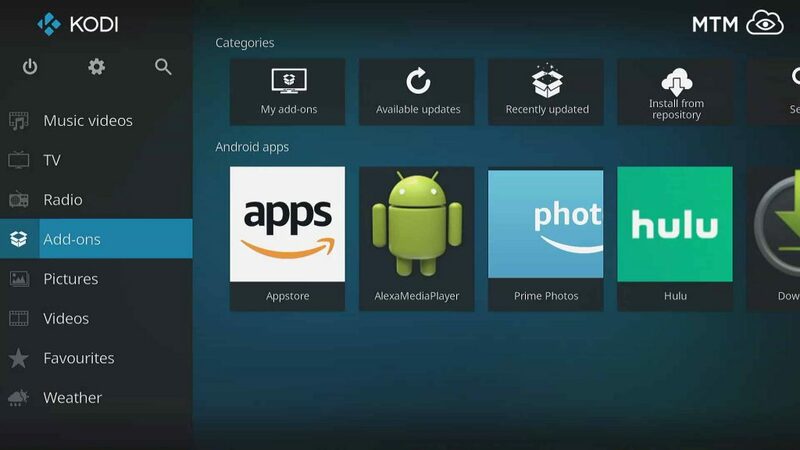 You may also use ES File Explorer or the Downloader app by AFTV (Amazon Firestick TV), both of which can be found freely available in either the Google Play Store or the Amazon App Store . If not using the TVAddons Git Browser to download the Netflix Repo, make sure to save this zip file somewhere you can access from within Kodi. From your Kodi home screen, select the Add-ons menu item. Click the Add-ons browser icon. Choose the repository.netflix-x.x.zip file downloaded above. Nest, select Install from Repository. Click on Netflix Addon Repository. Once you get an Add-on enabled notification, the Netflix Kodi addon will be found in your Kodi video addons! The only restrictions will be the same imposed by Netflix itself, which can be bypassed with your IPVanish VPN app. Depending on the platform you have Kodi installed on, head over to the Netflix addon settings, or while hovering on the addon, press ‘c’ to bring up the menu. Enter Settings and input your Netflix username and password. If installing Netflix on Kodi running in an Andriod device, you’ll also need to input your Android Netflix ESN number into the Kodi addon settings. This Android Netflix ESN ID can be found in your Android device settings under About. Type that number or copy and paste it into the Kodi addon settings. Once you have that taken care of, you should be able to watch Netflix on Kodi the same way you do on any other app.